E. Wayne Holden became RTI International’s fourth president and chief executive officer in 2012. RTI is an internationally recognized not for profit research institute based in Research Triangle Park, North Carolina. With nearly 3,700 worldwide staff members and over 2,600 ongoing projects in approximately 75 countries, RTI’s mission is to “improve the human condition through turning knowledge into practice”. 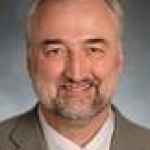 Dr. Holden is a distinguished researcher and clinical psychologist with nearly 30 years of professional experience. He joined RTI as executive vice president of Social and Statistical Sciences in 2005, overseeing the organization’s largest unit. Prior to joining RTI, he served as vice president, senior vice president and ultimately president of the research company ORC Macro. Before joining ORC Macro in 1998, he had a successful career in academia serving more than 10 years in a variety of roles in the Department of Pediatrics at the University of Maryland’s School of Medicine, including as director of pediatric psychology and as a tenured associate professor. He was also a faculty member for two years in the Department of Psychology at Auburn University. He currently holds appointments as an adjunct professor in the Department of Psychiatry and Behavioral Sciences at Duke University School of Medicine and the Department of Health Policy and Management in the Gillings School of Global Public Health at the University of North Carolina at Chapel Hill. Dr. Holden is a fellow of the American Psychological Association and has authored more than 130 articles, books, or book chapters on various topics in clinical child/pediatric psychology and health services research. During his career, he has served as principal investigator or officer-in-charge for over 100 million dollars worth of research contracts and grants.